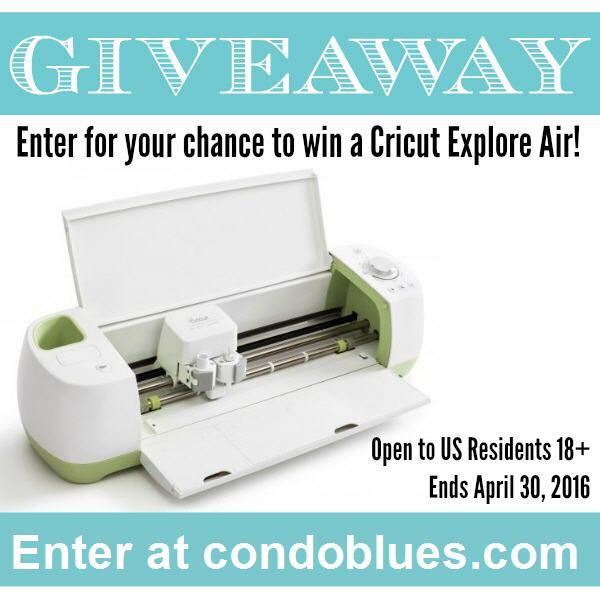 Condo Blues: April Cricut Explore Air $250 Cash Giveaway! One of the things I cherish most is just like my in real life condo, my virtual condo is full of super fantastic awesome people. You, yes you, the one reading this right now, makes making Condo Blues not just a blog, but a community. I'm always looking for giveaway opportunities to thank you for being part of the Condo Blues community. What would you do with your choice of a Cricut Explore Air die cutting machine or $250 Paypal Cash to spend this spring?! That's right friends, if you win you will have your choice of accepting 250 dolla, dolla bills or your very own Cricut Explore Air! Sweeeeeeeeeet! Enter the April Cricut or $250 Paypal Cash Giveaway!